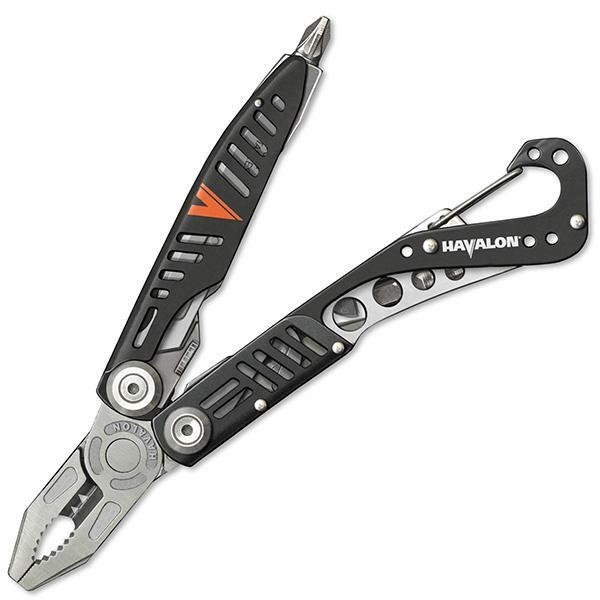 The Havalon Evolve is the worlds first multi-tool featuring the Quik-Change replaceable blade system. Created under the guidance of Jim Shockey, the Evolve was built to be the only tool a hunter needs. • Closed length: 4.50 in. • Opened length: 7.36 in. • 2Cr13 cast stainless tool steel pliers with grippers, wire cutter, and two wire stripper notches.